For those of you who are unfamiliar, Dying Light is a massive open world first-person survival game. Set in a fictional city named Harran, a virus is spread and turns the population into flesh-eating, corpse-rotting zombies. Travel though an immersive story line, all while leveling up your skills and acquiring new items to further your experience. The month of February marked the last DLC installment coming to Dying Light. As part of a year long content plan, "The Following" expansion was considered to be a final, but nevertheless big, bang to end the title. Huge fans of the title, such as myself, were disconcerted by the idea of Dying Light being a game of the past, however, the overall fan-based feedback, combined with the recent DLC expansion's great reviews made Techland take notice. Though it was not initially the plan, Techland decided to extend the support for Dying Light another full year, at the very least, because of the demand! "We always had faith in the project, but seeing so many enthusiastic opinions among players and high review scores from the press is utterly heart-warming. At the same time it is a clear sign that there is still high demand for that unique Dying Light experience. 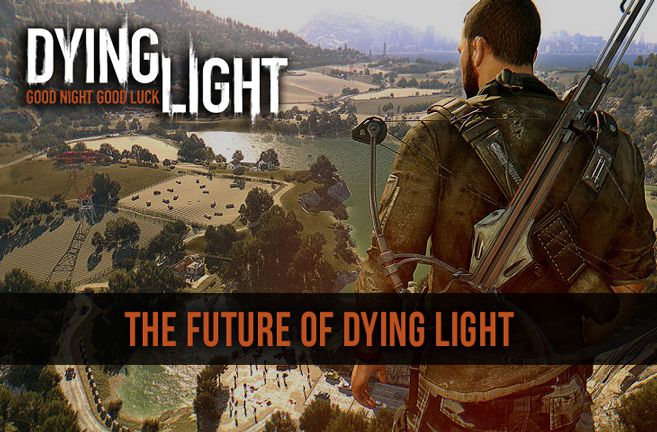 To make sure that every new or veteran player gets all the fun they deserve, we have decided to continue our support for Dying Light at least till the end of this year. We are already working on new unannounced content, so stay tuned for our future news." In addition, Techland is opening up their doors to the fanbase to create content that is user-influenced. We've seen some developer-fan collaboration before with custom made maps, but this looks to be a much more open and promising path for the title. I have faith in the developers and the community to actively provide another great year for such an awesome game. "As the Dying Light franchise goes forward, let us also know where you want to see it headed. We strongly believe in active collaboration between our design team and you, players who every day fight for survival in the world of Dying Light." Are you as excited as I am to have this game fully supported for another year? What kinds of DLC would you like to see, or what do you expect to see? Let me know in the comments section below! Echo, AlienFreek01, Teufel Hunden and 1 other person like this.